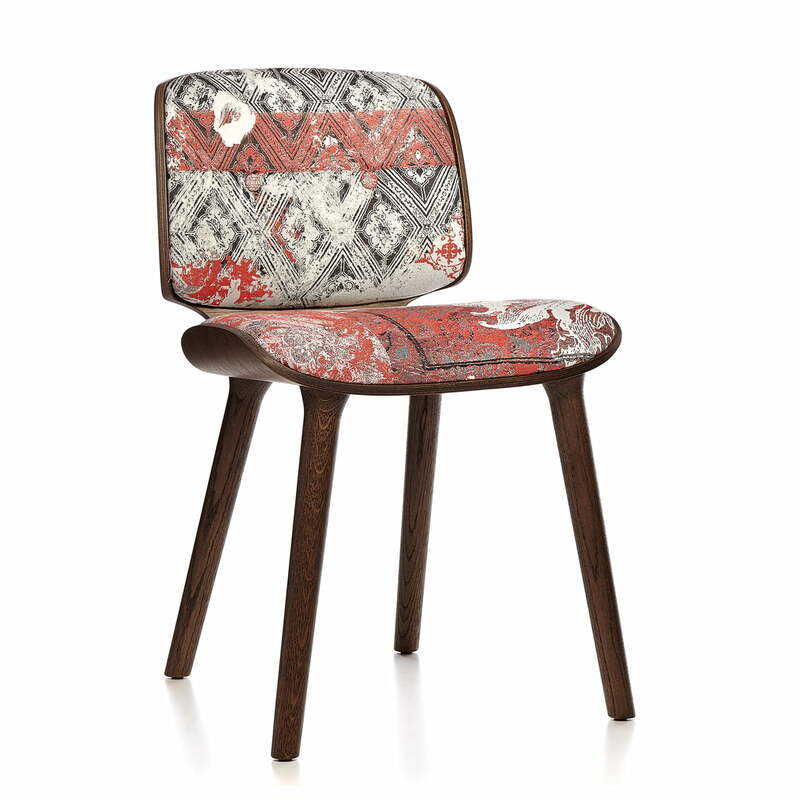 The Nut Dining Chair by Marcel Wanders for Moooi is a classic upholstered chair, which delights with noble materials. 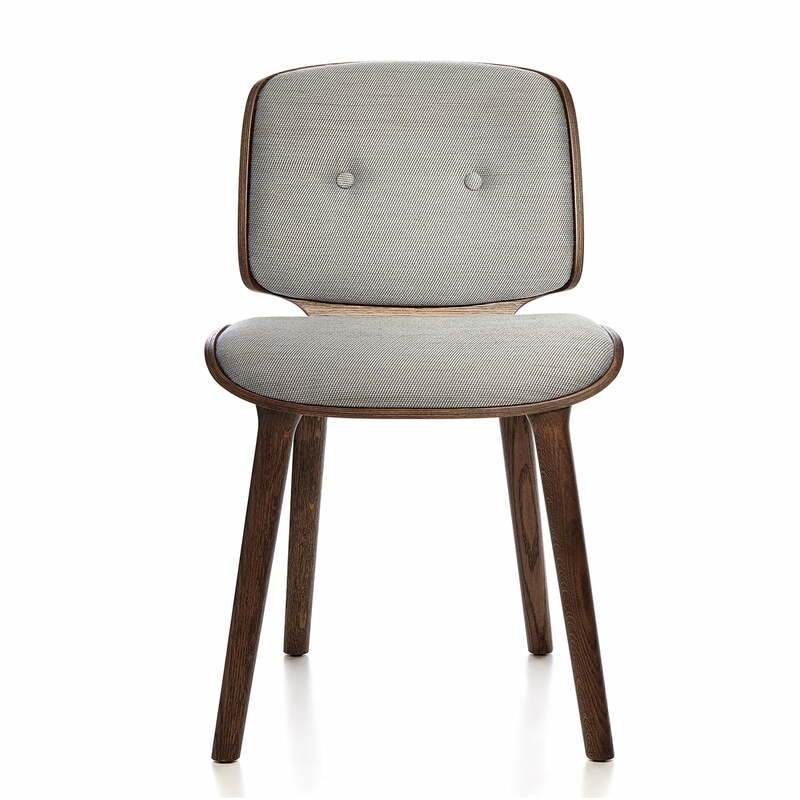 The round legs of the Nut Dining Chair are made of solid oak and the frame is made from bent plywood, which is available in different colours. 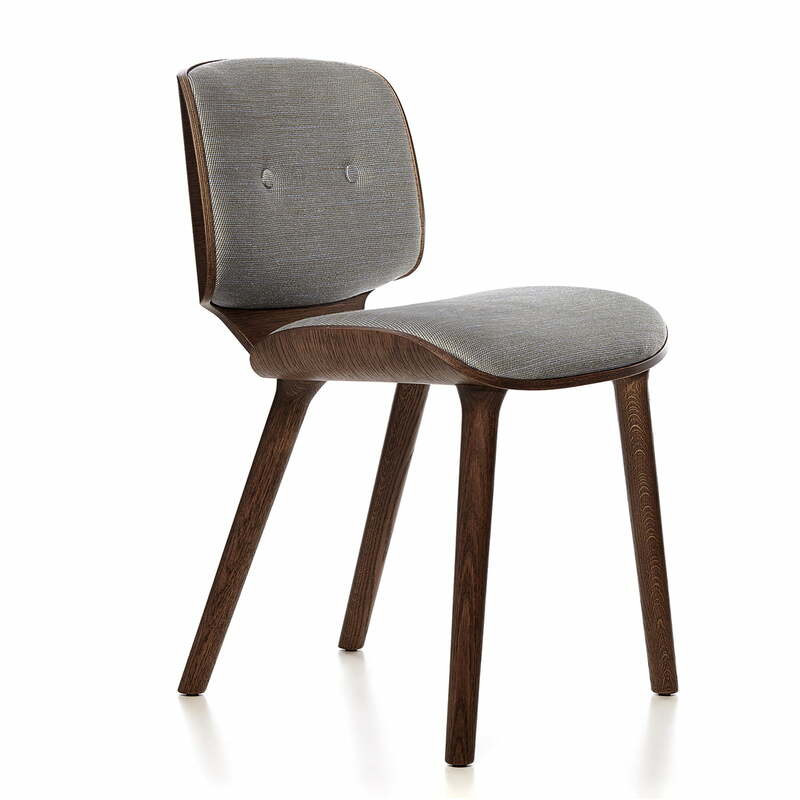 The soft curved sides of seat and backrest as well as the transition from the seat cushion to the back frame give the chair a gentle and inviting look. The wood processed in precision of the Moooi chair is completed by backrest and seat upholstery in the most different patterns and materials. Thanks to the wide selection of upholstery fabrics such as faux leather, genuine leather, cotton and viscose, the dining room chair can be individually configured and becomes the special eye-catcher in the living area. 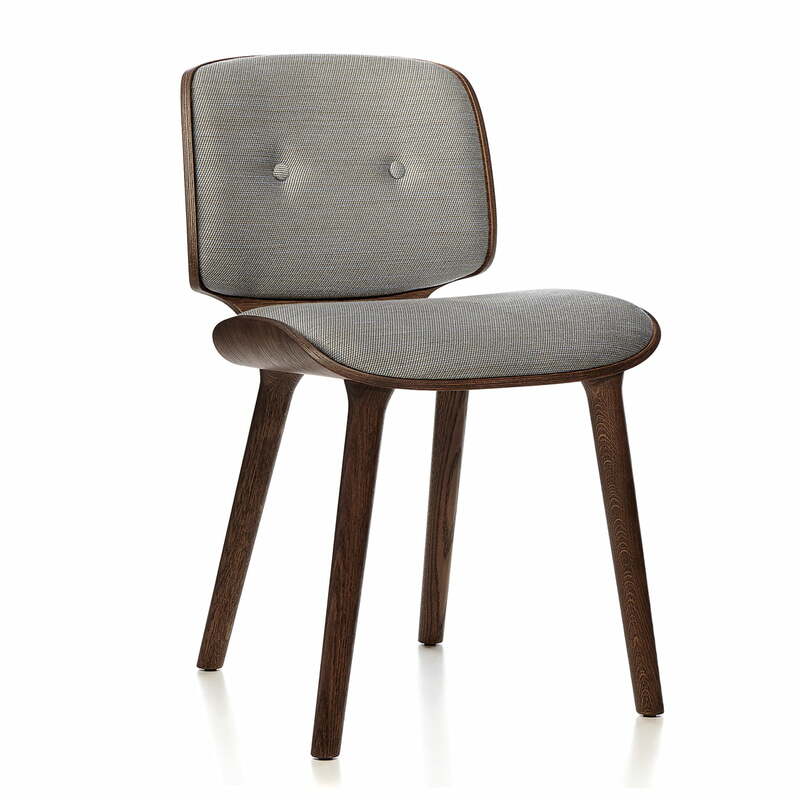 Individual image of the Nut Dining Chair by the manufacturer Moooi. The frame consists of cinnamon oak and the cover is decorated in a Macchedil Sot Grau. The Nut Dining Chair by Marcel Wanders is a chair in classic and restrained form, standing out from other dining room chairs in material, colour and pattern and is an eye-catcher in every room. The curved sides of the seat and the backrest and the curved transition from the seat upholstery to the back frame make the chair appear soft and gentle and invite you to hours of reading and relaxing in the chair. The round legs of the Nut Dining Chair consist of solid oak and the frame is made of bent plywood with an oak veneer finish. 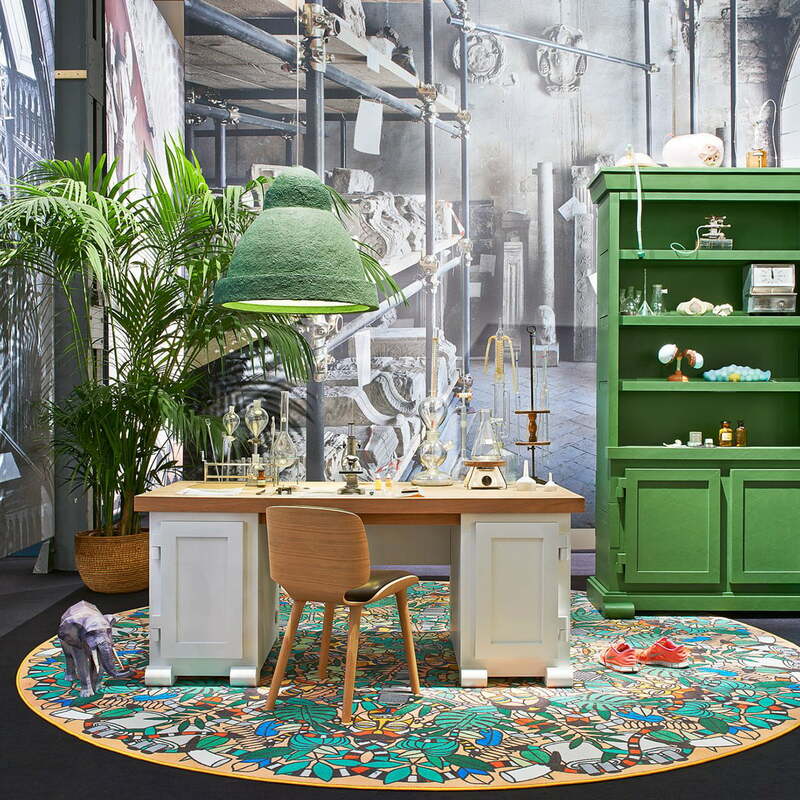 Desing by Marcel Wanders for Moooi. Thanks to its material, the light is warm and natural. The natural material fits perfectly in surroundings with many plants and flowers and matches the Nut Dining Chair by Moooi perfectly.